If you are wondering about how to ship off your young one to his or her faraway land of dreams routinely, then here is an article you should consider reading. First question is, why set a bedtime routine for your baby? What’s the use? The predictability of a routine sleep cycle is something that both you and your baby will learn to follow and appreciate. Setting a bedtime routine will help your baby adjust their best in unfamiliar surroundings and situations. 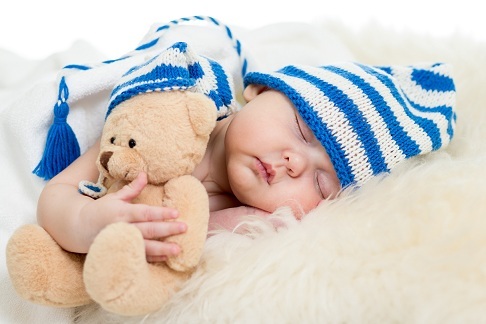 It’s always best to set a bedtime routine as early as possible, preferably within 6 to 8 weeks of birth itself. Once you have done this, your baby will adhere to this consistency of routine. Plus, for you as a parent, following a bedtime routine also increases your work efficiency. You don’t need to worry about having to sleep your baby because once a routine is set, you’ll find your sweetie yawning when it’s time by himself or herself. How to Plan your Bedtime Routine? It’s nothing complicated! Just set some simple tasks that your baby enjoys and make sure you start well within evening so that you can get enough time to carry out the entire sequence. As such, your baby’s bedtime routine must be unique for him or her alone. No two babies are alike! Let him or her use up his or her share of energy that he or she might have accumulated all day. Give him or her a nice long bath. While you do so, make sure you massage his or her face, hands and chest. Warm water relaxes them. All the very best if you’ve gotten your baby to the tooth-brushing habit as early as possible. Play with your kid. Not only will both of you enjoy this but also this helps your baby burn off more steam and relax. Have a nice Mommy kiddie chat. Talk about their hair that has grown so much, cuddle them. Tell them a nice bedtime story. Sing them a nice long lullaby or play soft music. Watch them sleep.